2 Bedroom Semi Detached House For Sale in London for Asking Price £749,995. 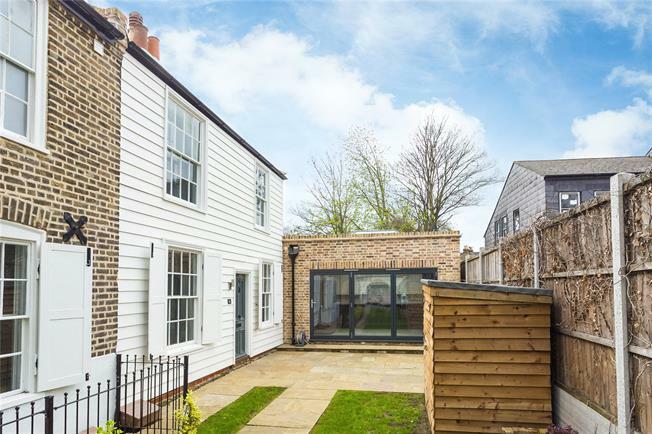 A charming Georgian cottage set back from the High Street in the heart of Wanstead. The property has been carefully renovated in keeping with its listed status incorporating period features with modern day living. The ground floor offers versatile living space with two receptions both with feature fireplaces, bedroom 3/3rd reception, cloakroom, storage and a light filled kitchen/breakfast room with central skylight and full width doors opening out onto the garden. To the first floor is the contemporary family bathroom along with the two further double bedrooms of which the master is en suite. Outside the garden is laid to lawn with a central path leading down to the front gate set in wrought iron railings. This pretty home is in such an ideal location overlooking the High Street, you can watch the world go by and yet be only moments away from the café culture of Wanstead with its regular Farmers Markets and array of shops, restaurants and amenities. Snaresbrook Underground Station and Wanstead (both Central Line) are within 0.2 and 0.3 miles respectively.